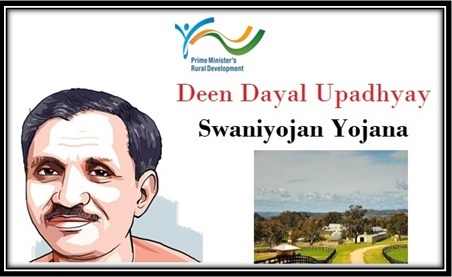 The central government has announced the launch of the new Deen Dayal Upadhyay Swaniyojan Yojana that will be launched as a part of the earlier implemented Startup India Campaign that offered with employment opportunities on mass scale. The new scheme is also considered to be launched in the rural area nationwide. Self Employment Opportunities and Fixed Salaried Job: Under the new scheme it is certain that the government aims at offering self employment opportunities for people coming from Rural areas. The main theme behind the implementation of the new scheme is to help people generate better livelihood opportunities and provide them with fixed salaried jobs. Integrated with – The center government has already made it clear that the new scheme will be backed completely for financial grounds by SHGs (Self help groups), Innovative credit linkages and MUDRA Bank Loans. The new scheme will also be integrated along with the already functional Start up India scheme that offers rural people with job opportunities within their rural areas. Government agenda – It is also obvious that the government may approach private entities to provide with entrepreneurship opportunities under the scheme. The government has also made it clear that it shall be providing people with benefits including setting up of incubation centers (Atal Incubation Center)in various areas where required along with credit linkage facility. Under the new scheme the government will also offer with all possible skills that are required for self employment in distinct areas. Apart from this the government also aims at providing livelihood to these people in their own village such that they may not have to sell away their owned land for migrating. It is also certain that under the scheme the government will focus on offering skill development training for one third people coming from rural areas who are more dependent on providing with manual labor jobs and lack land ownership. The central government is all set up for offering rural populations with different training sessions in various fields that can actually help them get established within their own villages. The training sessions will be covering vast opportunities including beauty courses and masonry activities. Each of these training programs will be offered under the Scheme by the Ministry for rural development. The rural development ministry under National livelihood mission for rural areas will be responsible for providing the funds required to the people under this scheme.